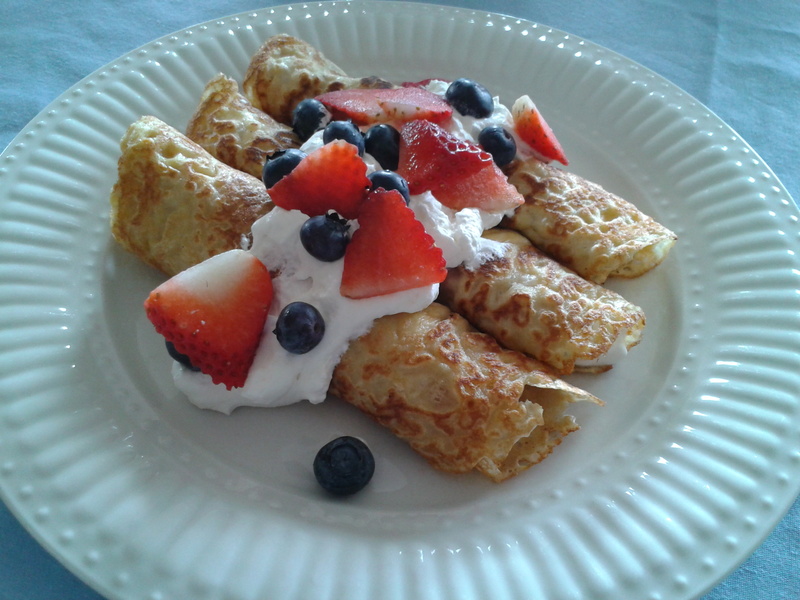 Nothing like homemade crepes, stuffed with fresh fruit and homemade whipped cream! p.s. This was a Julia Child’s recipe.